After the election results on Friday my boyfriend and I were in desperate need of some hippy green retail therapy. 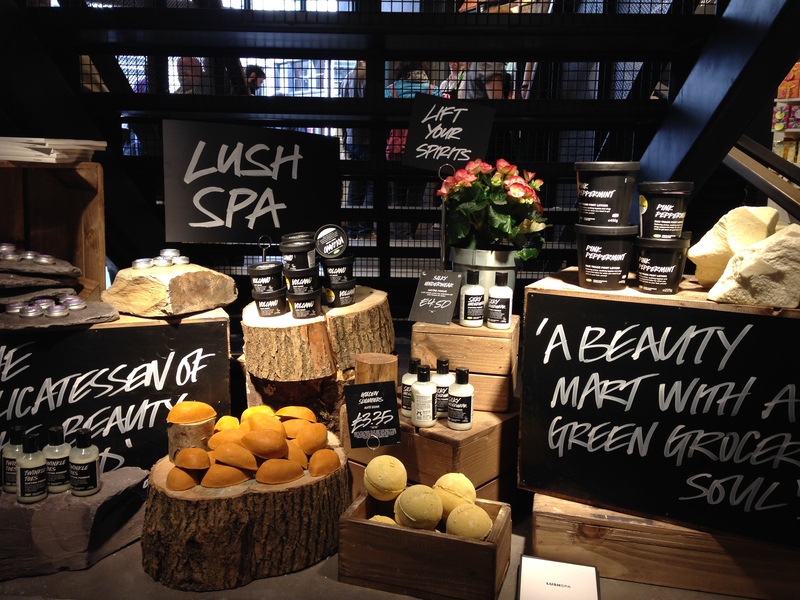 Lush’s newly opened, 3 storey flagship in the heart of Oxford Street seemed like the perfect place. I thought I’d share some of their 200 exclusive products, as well as our amazing experience. 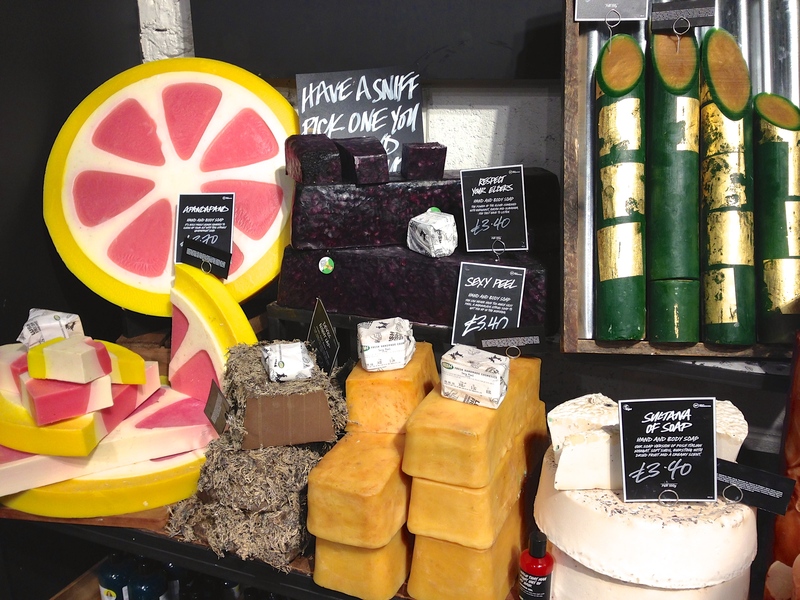 Despite it being a busy Saturday, we spent almost three hours wandering around this incredible shop, checking out loads of the new products and testing them, playing with their new bath bombs, smelling everything and wishing we had a bit more disposable income (not that that’ll be happening any time soon, thanks to the UK electorate) They have so many new soaps. SO MANY. Unfortunately I don’t have anywhere to put solid soap in my bathroom so I didn’t get any, but hopefully one day… That grapefruit one is incredible. 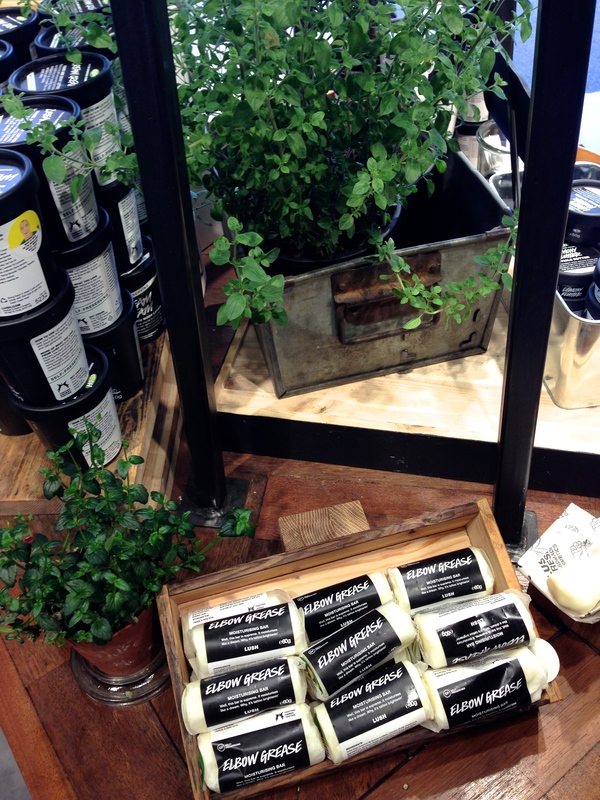 And the hairy one is the perfect smell for anyone who loves the outdoors – it smells like nice dirt. 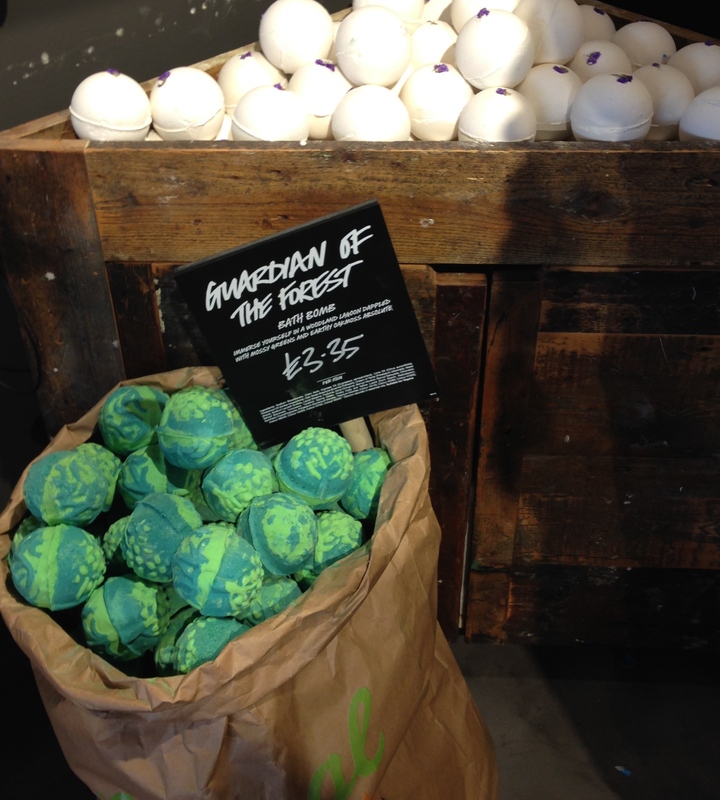 This Guardians of the Forest bath bomb has a very subtle scent and I couldn’t smell it at first. 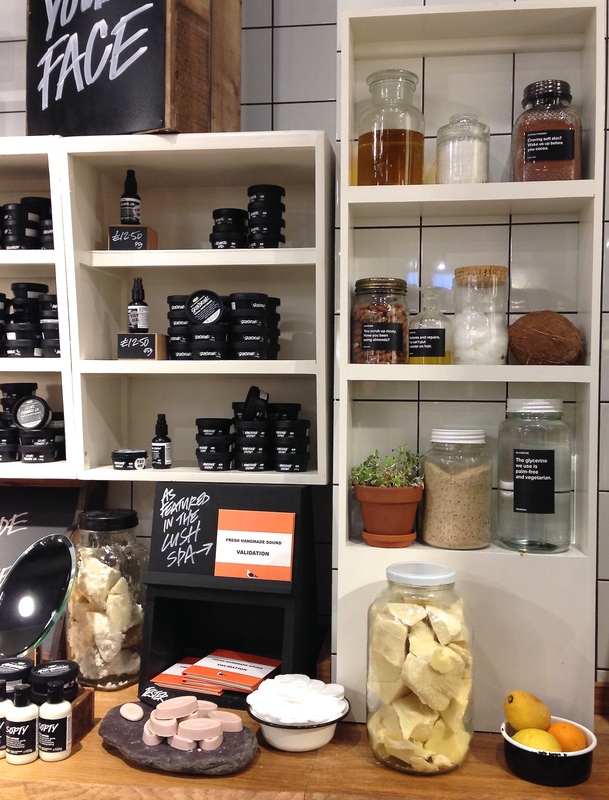 Then one of the lovely staff members (and I mean lovely – I know Lush employees work hard but these people knew everything, and were so nice!) 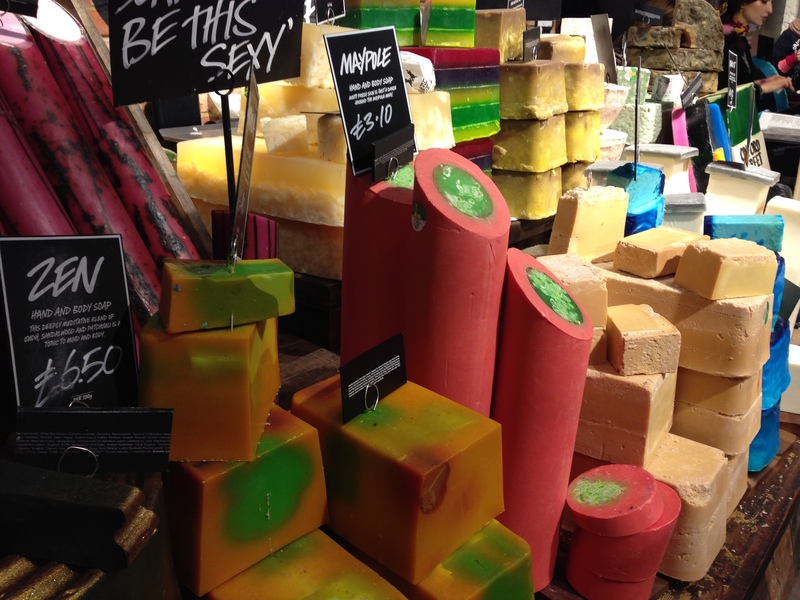 told us to sniff ourselves before sniffing the products to get the scent. This one really does smell like a forest, it’s beautiful. The one above it smells of parma violets but not quite so sweet. Yum. 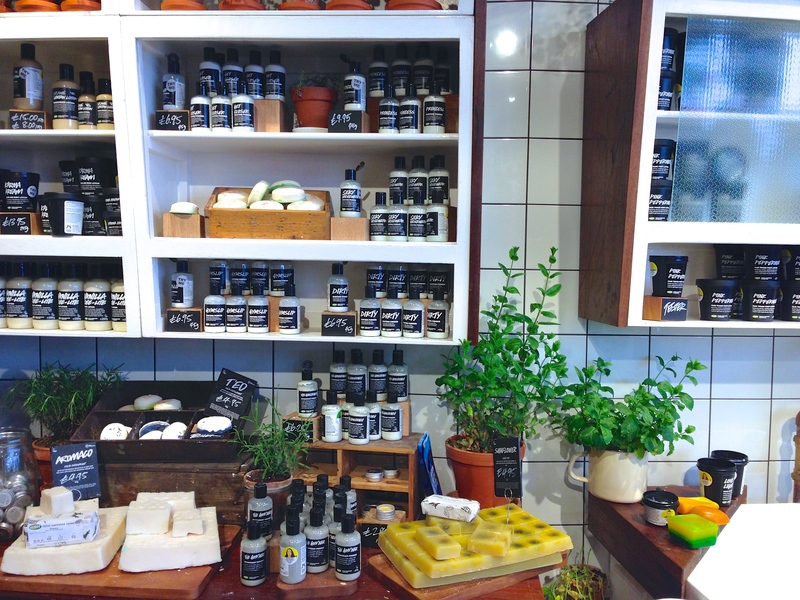 It’s impossible to walk around this shop and not feel happy. 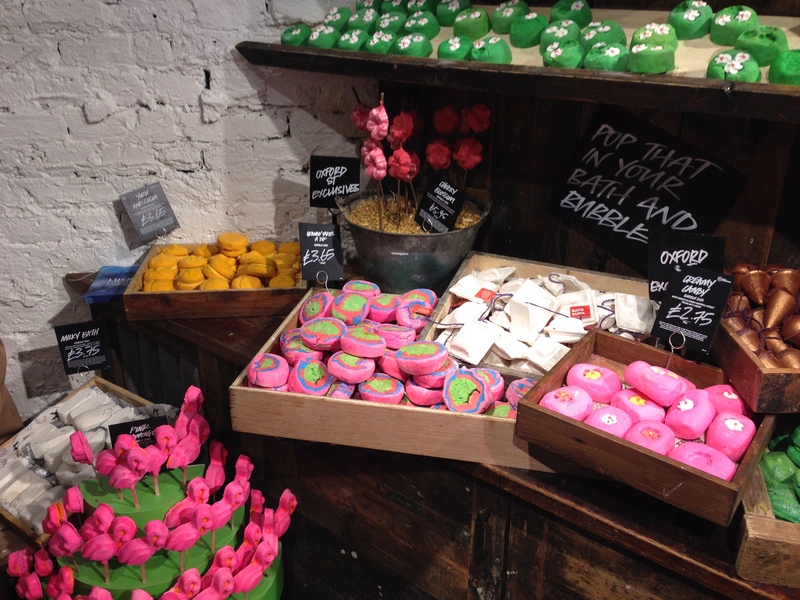 With the famous lush scent, lovely employees, fascinating products and wonderful atmosphere, we didn’t want to leave. 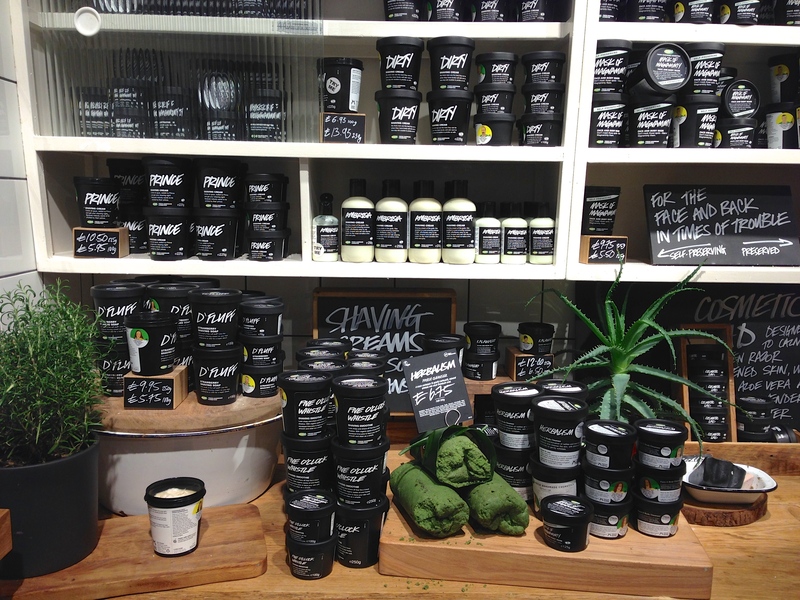 Here’s the shaving corner. 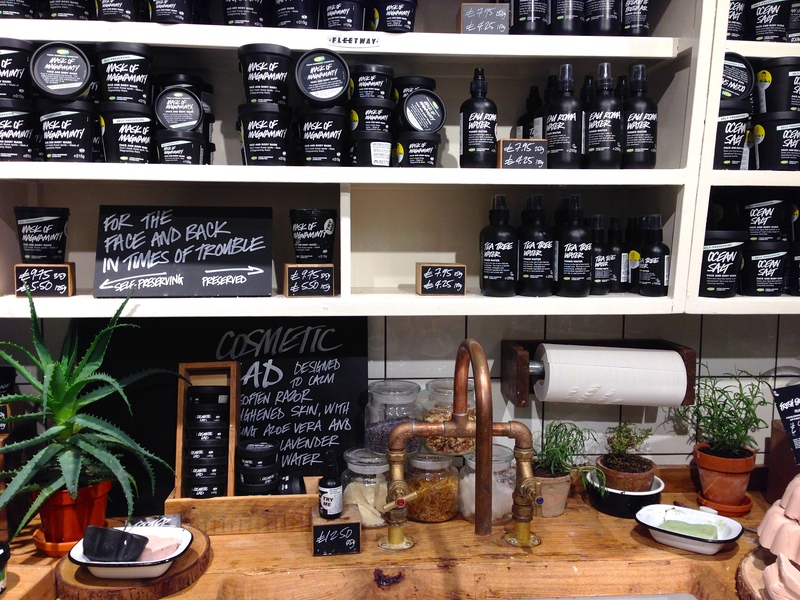 Everything in Lush Oxford Street is so beautifully presented, and after 10 minutes in this part I ended up a with tub of shaving cream (for my legs) and beard wash (an early birthday present for my boyfriend). 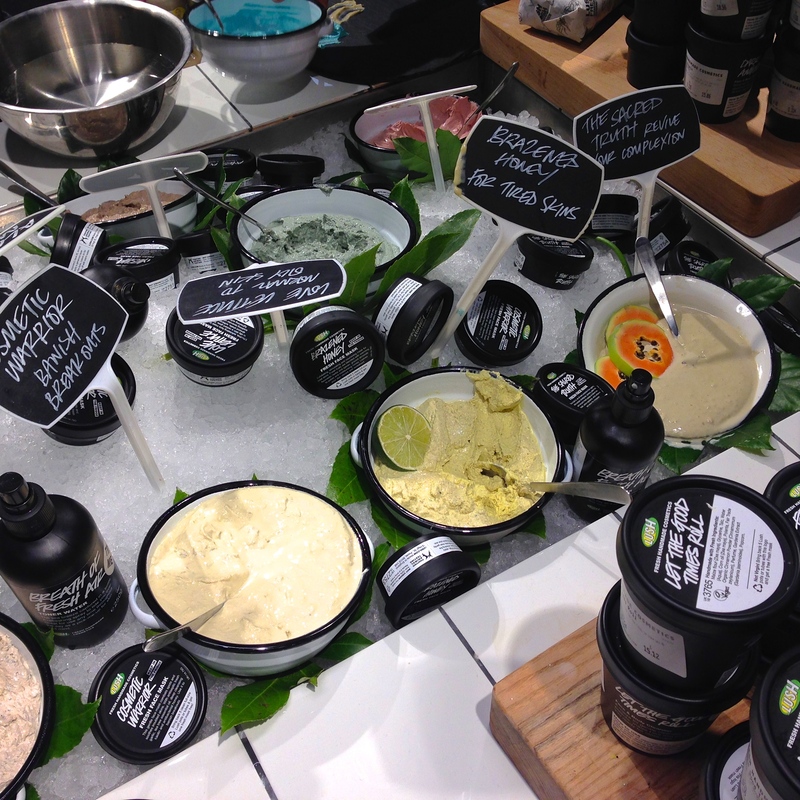 The only part I didn’t spend much time looking at was the facial skincare – I’ve haven’t tried much Lush skincare, apart from Ocean Salt which I liked, but was probably not the best product to use 10 years ago on my sensitive teenage skin. 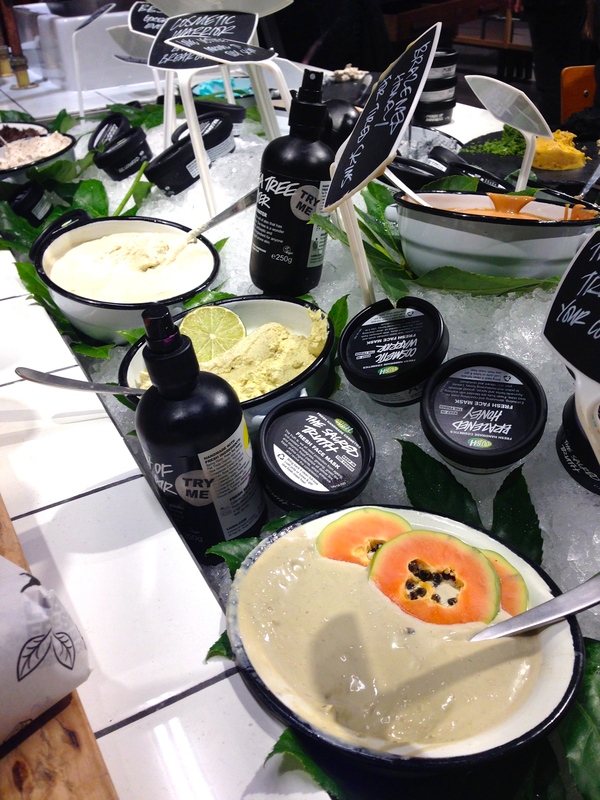 However, they have so many more products now, and the staff here are so good, that I’m definitely going to come back and look at the facial skincare soon. I bet there’s something there that my combination, self destructing skin will love. 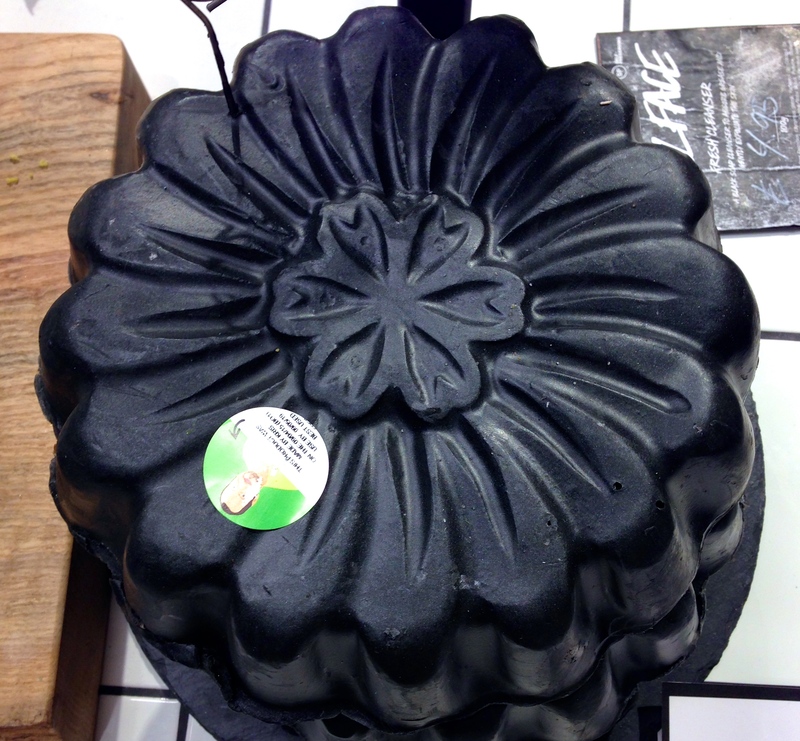 I loved the look of this striking Coalface facial soap, with charcoal to help absorb oil and liquorice root to soften the skin. This would be something my boyfriend, who has very oily skin, could use daily, while I could it from time to time when my skin gets shiny or spotty. 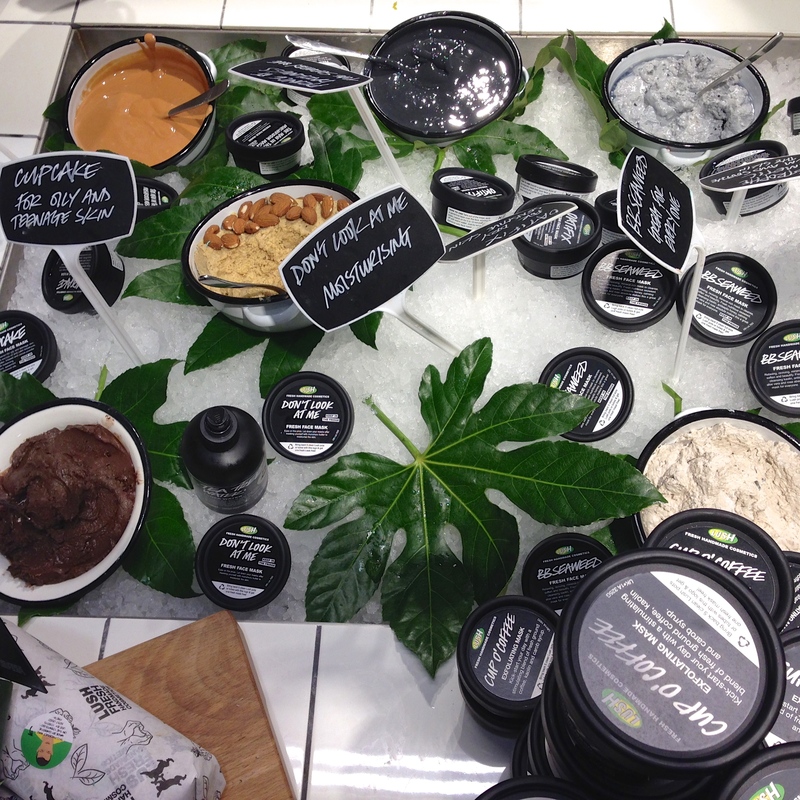 One of the best parts of Lush Oxford Street is that there are chairs surrounding their fresh mask area, where the staff can show you all their amazing masks while you sit down. Perfect for all the tired shoppers who pass through Oxford Street every day. This also gives them a really good opportunity to talk to you, which is where the amazingly knowledgable, lovely and interesting staff come into their own. 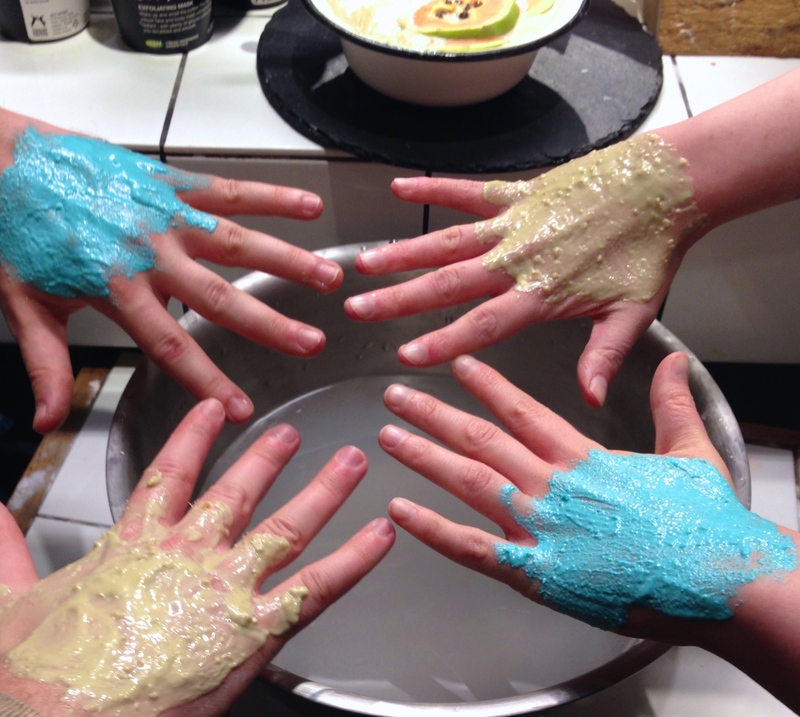 It was a pleasure to talk to the lady who was applying testers of their gorgeous masks to our hands. 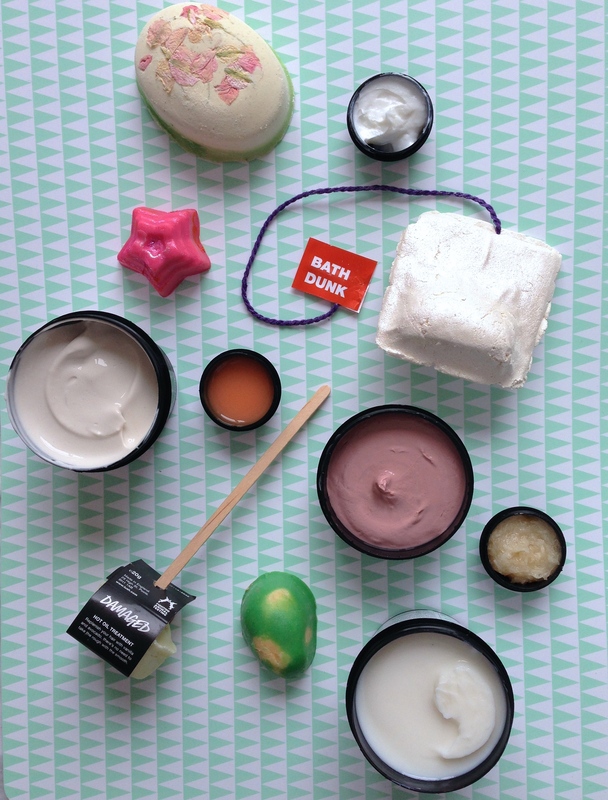 We tried four, the ones you see here are an Oxford Street exclusive ironically named Don’t Look at Me, and The Sacred Truth, a mask with papaya to brighten and exfoliate. We also tried brightening and refreshing Cup of Coffee and soothing, calming Rosy Cheeks. I ended up buying Rosy Cheeks, because I have lots of exfoliating, cleansing, polishing and brightening products, but nothing particularly calming. This smells beautiful and my hand was wonderfully soft afterwards. Obviously I’ll review it when I actually try it on my face! As you go down into the basement area, there’s a whole corner given over to feet. 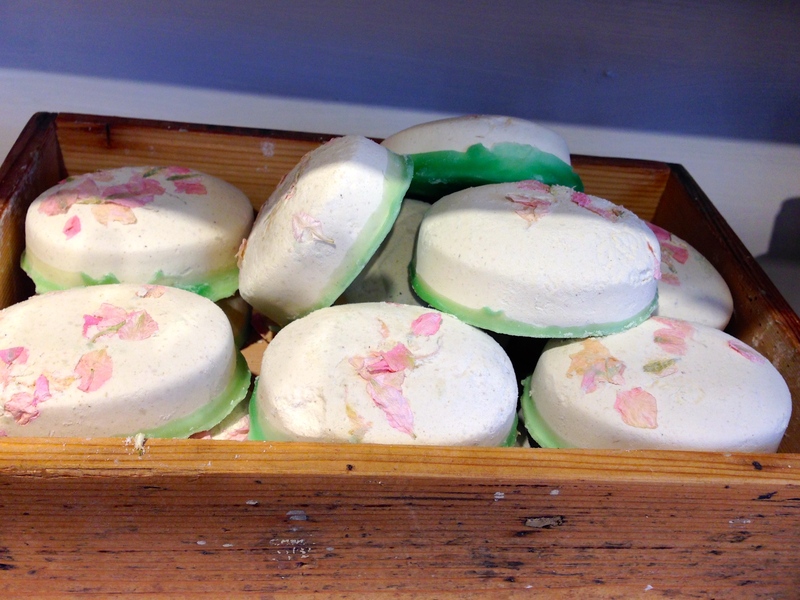 I can see this being popular as the weather gets warmer (popular with me at least, I hate having sweaty feet) Then you’re downstairs, in the headily scented massage bar and perfume section. There’s a sensory exhibit here about their Gorilla perfumes, but we didn’t end up checking it out (there’s always next time). 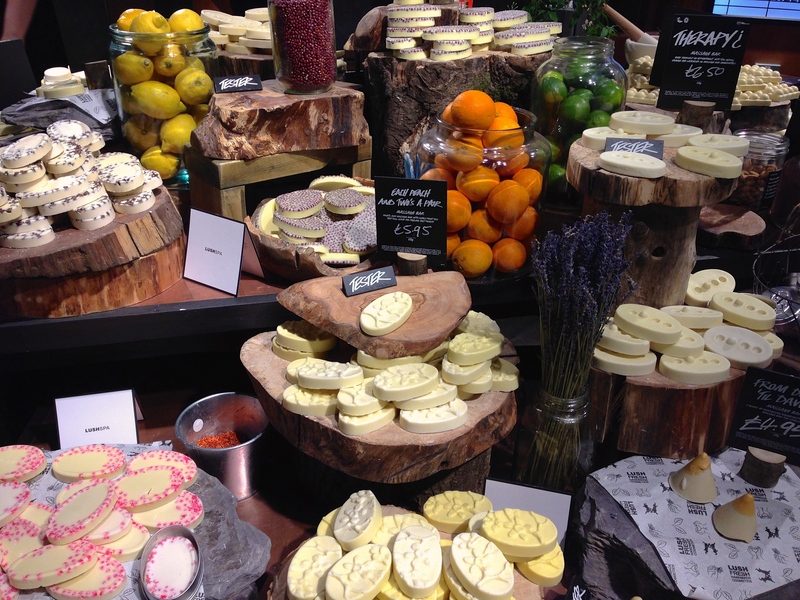 My boyfriend had a look at the perfumes and fell in love with a smoky, whisky inspired scent that he’s already saving up for… …while I cooed over the massage bars. 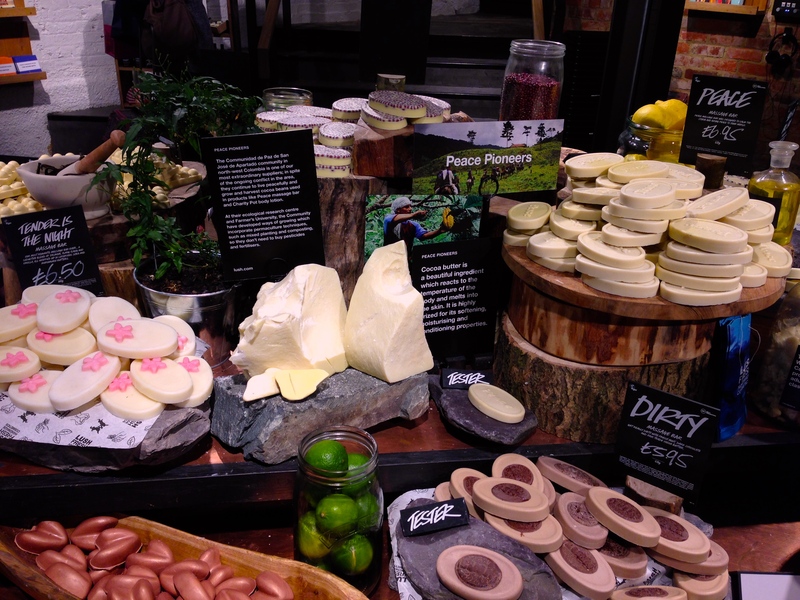 Lush massage bars are some of their best products – Each Peach, Pearl, Dirty, Tender is the Night and Soft Coeur are all joint favourites for me. Then we headed over to the deodorant/dusting powder section. Again, everything was so gorgeously laid out. I think the shopping experience here is on a par with Liberty’s for excitement, beauty and all around enjoyability. I picked up one of these gorgeous deodorants, a Lush Oxford Street exclusive called Deo my BO (hahaha) that smells stunning. It’s really fresh and lively. I’ll be trying it out this weke and will review asap! Elbow Grease is one of many exclusive products that I of wish I’d picked up. It’s a really melty balm, intended, I think, for making tattoos shine really nicely, but also for soothing rough skin. I have a few dry patches that I think this would be perfect for. It melts away in your hand and smells gorgeous. So…if you’ve made it all the way through this marathon post, you’re probably wondering what I actually bought. There’s Deo My BO deodorant, a sample of Roots scalp treatment, Flowering Tea reusable bubble bar, I Am A Radiant Being solid bath oil, Five O’Clock Whistle shaving smoothie, a sample of Giant’s Gel hair gel, Rosy Cheeks face mask, a sample of Curly Wurly shampoo, You’ve Been Mangoed solid bath oil, Damaged hot oil hair treatment and Kalamazoo beard and face wash. Lush Oxford Street is a stunning place to get lost in, their exclusive products are incredible, and they have done something I didn’t think anyone could ever do: make Oxford Street smell nice. This entry was posted in Beauty, Body care, Hair care, London, Natural skincare, Skincare and tagged Beauty, London, Natural skincare, Skincare. Bookmark the permalink.